Mazes and labyrinths have always symbolised the mysteries of a spiritual quest, the position of the human in the universe, and the dance we take through various forces around us. By entering a maze, we are not just physically attempting to find it's centre; we are attempting to find the centre of our selves. 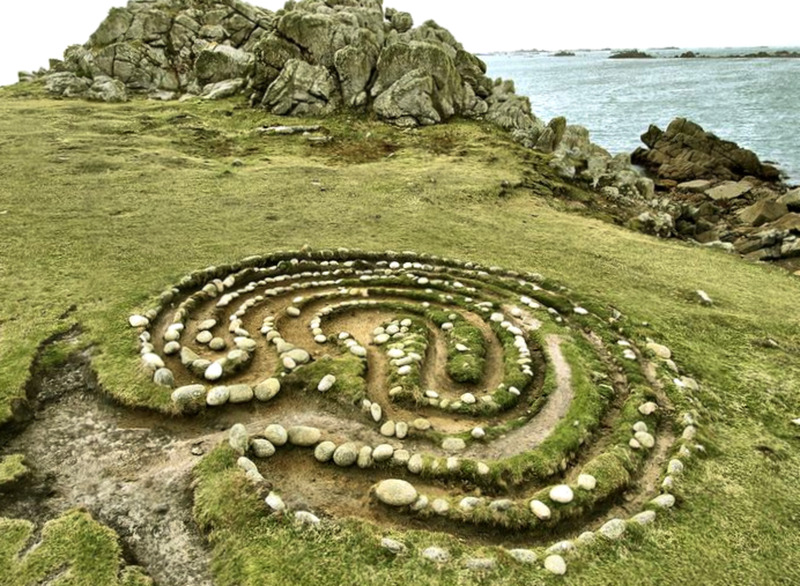 There are many fascinating mazes and labyrinths to be discovered in the British Isles. These are just a few of my favourites. St.Agnes Isle is one of many islands that makes up the Isles of Scilly. An archipelago located around 28 miles west off Land's End, Cornwall, they have long had a reputation of being a mystical place. 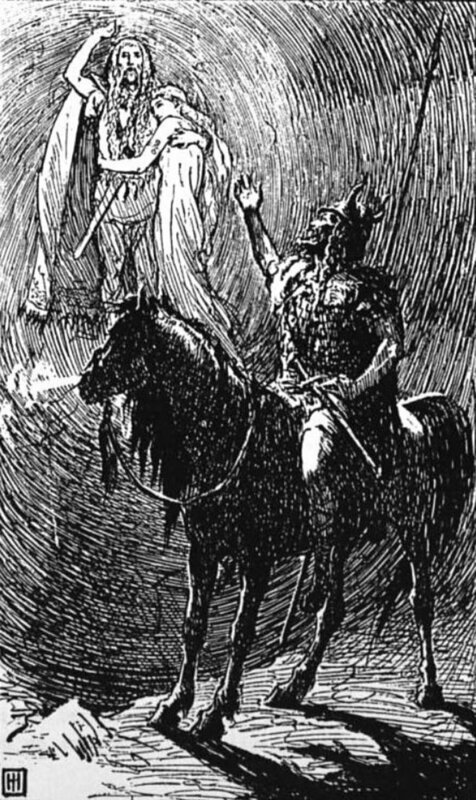 Some would say they are all that is left of the mythical land of Lyonesse. Reputed to have been created in 1729 by a lighthouse keeper named Amor Clarke, Troytown or Troy Town maze is the only ancient stone and boulder labyrinth in the British Isles. Whilst dated to the 18th Century, the pattern on which it is built is thought to be much older; possibly "Viking" in origin. Due to its similarity with designs in Norway, this labyrinth is believed to have been created to give safe sailing to fishermen. Lore surrounding these Norwegian mazes describes how sailors and fishermen would walk such labyrinths before setting sail to ensure favourable winds, full nets, and also to befuddle and trap 'little people' or smägubbar who might otherwise cause problems for them at sea. Troy Town Maze, St Agnes, Scilly Isles, by Simon Bright. A sketch of the design of the Troy Town Maze. The Troy Town Maze can be found near Troytown Farm campsite on St Agnes. Cut into the chalk of St Catherine's Hill overlooking Winchester, the Miz-Maze, or Mizmaze is one of only two surviving square labyrinths cut into turf to have survived antiquity. The hill was once an Iron Age fortification, and was believed to be a place of spirits during Roman times. It is hard to give a precise date for the construction of this labyrinth, but it is believed to have been created during the Medieval period, and re-cut over the years as the grass has grown into it. The hill was dedicated to St Catherine with a small chapel built on the summit devoted to her. With the hill being adopted as a sacred site, the labyrinth is thought to have been used by pilgrims as a path to walk as an aid to meditation, or metaphor for the search for salvation. Its purpose is believed by some to serve as a spirit trap to lose ill powers clinging to a living person as they wandered along the path. Local folklore describes how it was created by a pupil of Winchester College in the 18th Century as a punishment. His mind so addled after completing his task, the poor lad threw himself off the hill to his death! Aerial view of the Miz Maze on St Catherine's Hill, Winchester, by Rod Varley. 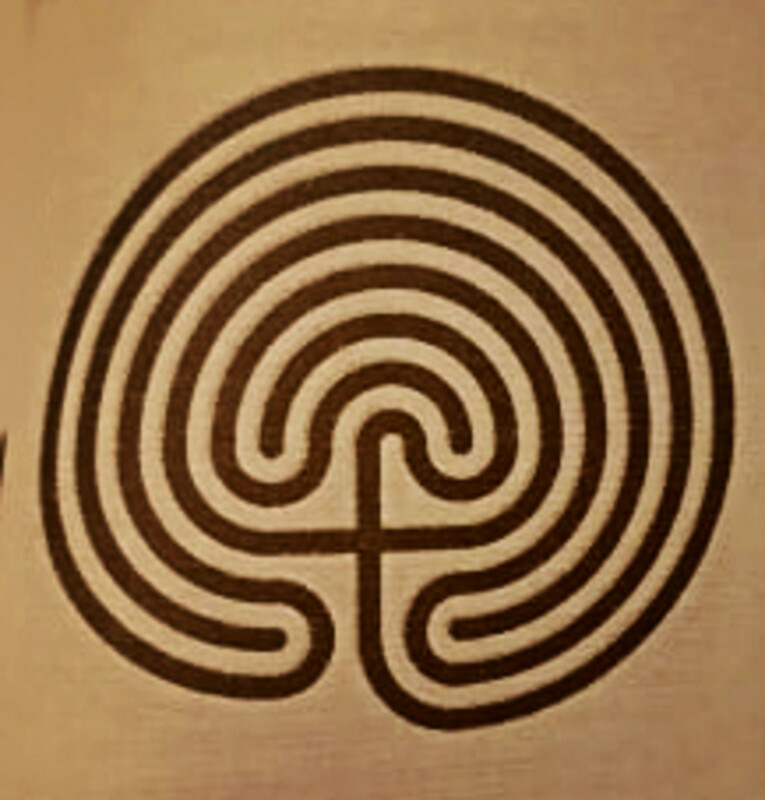 The Miz-Maze is found on the slope of St Catherine's Hill, Winchester. Located in Compton, the Watts Mortuary Chapel, otherwise known as the Watts Memorial Chapel, is a splendid example of an Art Nouveau building, with an ample splash of the Celtic Revival style. There is more to this building though, than it's beautiful form. 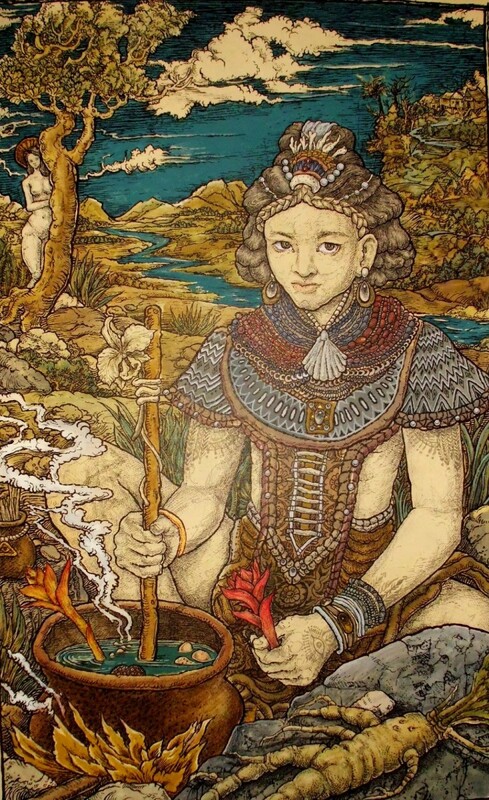 It is thick with metaphor, symbolism, and metaphysics. Mysticism seemed to have been forgotten during the age of progress and the Industrial Revolution. It was thanks to Mary Watts, who built this mortuary chapel in memory of her husband, George Frederic Watts, that fine crafts were reunited with metaphysical studies. More suited to the philosophers and sorcerers of the 17th Century, the labyrinth design incorporates a mystical path that takes the follower through a journey with seven heavenly bodies. The centre or "island" of the maze representing Earth. Moving out, the seven spheres of the maze represent the Moon (the fastest), mercury, Venus, the Sun, Mars, Jupiter, and lastly Saturn, as described in a design by Thomas Hyll in 1563. 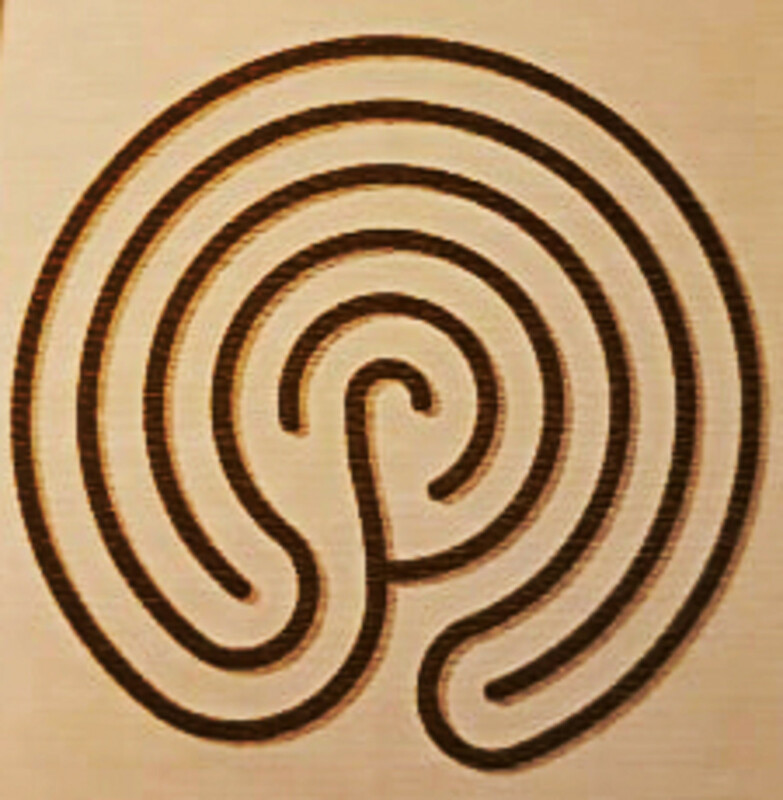 Maze designs vary to take a walker along different paths moving with these astrological bodies to contemplate their meanings in a different order, depending on the purpose of the labyrinth. Throughout history, many British labyrinths have utilised this to share their hidden message. One of the many renditions of the labyrinth at Watts Memorial Chapel. 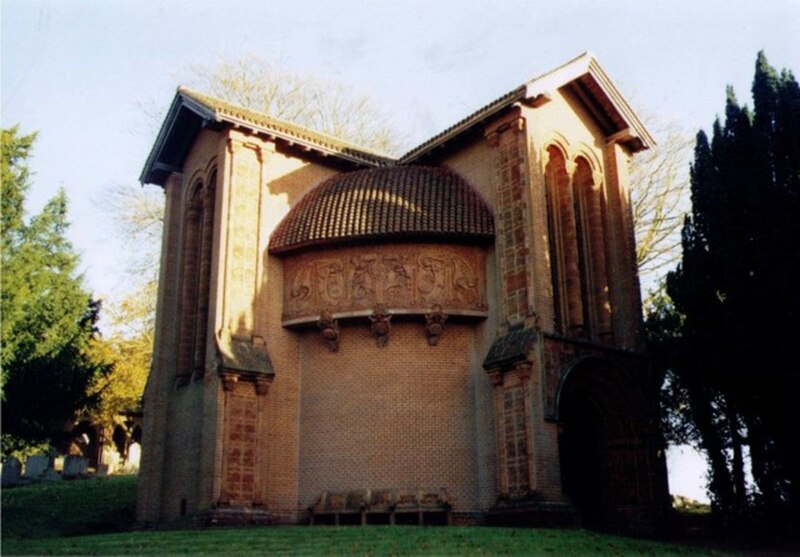 The Watts Memorial Chapel can be found in Compton, Guildford, in Surrey. Found along the verge beside the road from Dalby to Terrington, this turf labyrinth is said to be one of the last remaining ancient seven-coil labyrinths in the British Isles. 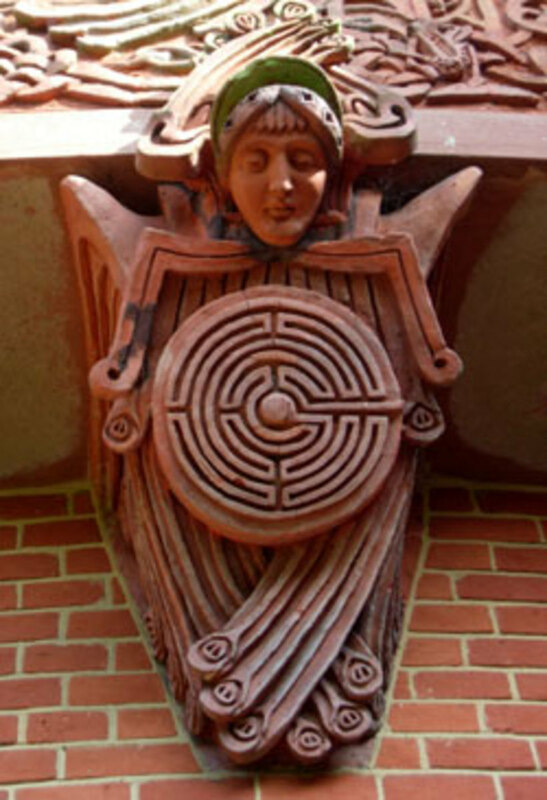 As with the metaphysical symbolism of the labyrinth at the Watts Chapel, there are theories that the seven coils represent celestial bodies in the heavens. If this were the case with this particular design, then a person walking the labyrinth would encounter Mars first, then Jupiter, followed by Saturn, the Sun, the moon, Mercury, and finally Venus, before reaching the haven of the Earth at the labyrinth's centre. This design appears throughout many cultures and features in Minoan, Greek, Irish, and Mexican art, but also on a rock face in Tintagel, Cornwall. 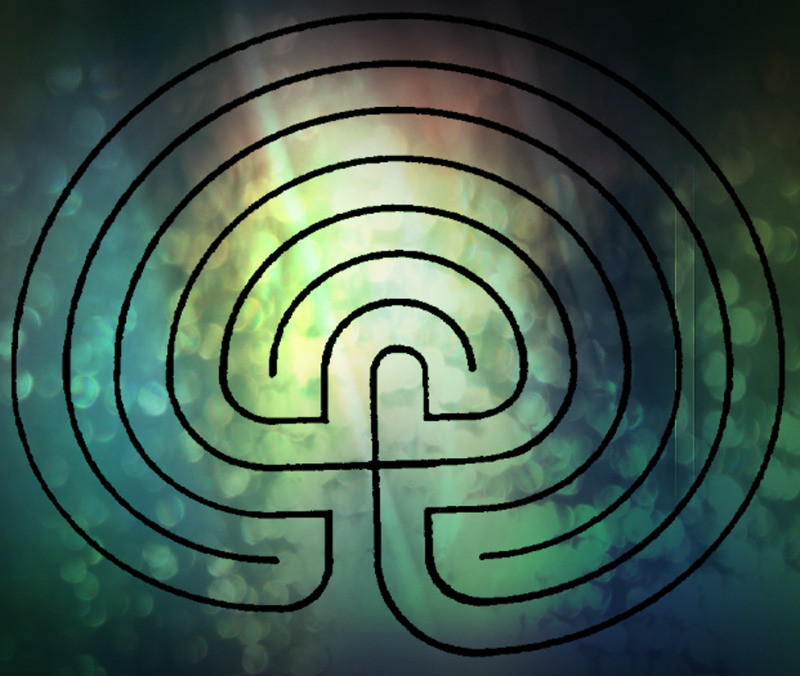 The maze is named after the ancient city of Troy, which is not uncommon with such labyrinths. It is thought that this references the legend of the city walls that were built in such a way as to confuse attacking forces. It may also however derive from the Welsh "Caerdroia", translated as "The city of turns", which may describe Troy, or the labyrinth of its walls. The City of Troy Seven-Turns design. 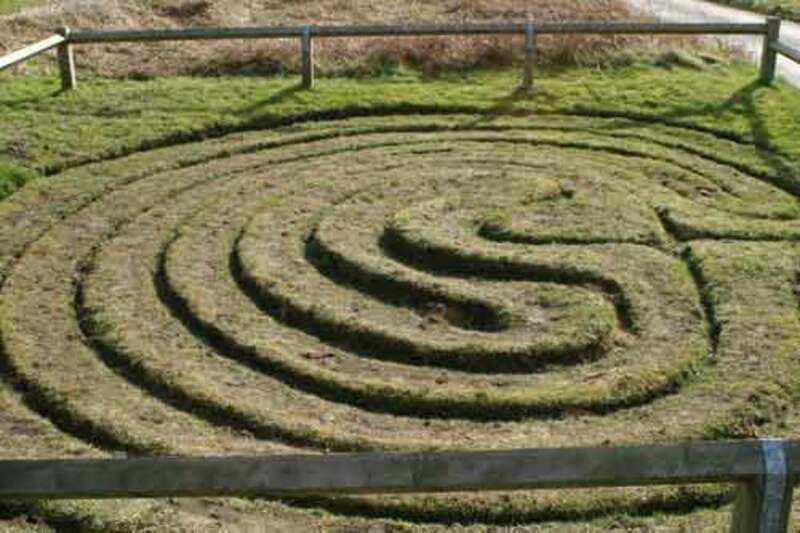 The City of Troy labyrinth can be found on the B1363 near Dalby, Yorkshire. 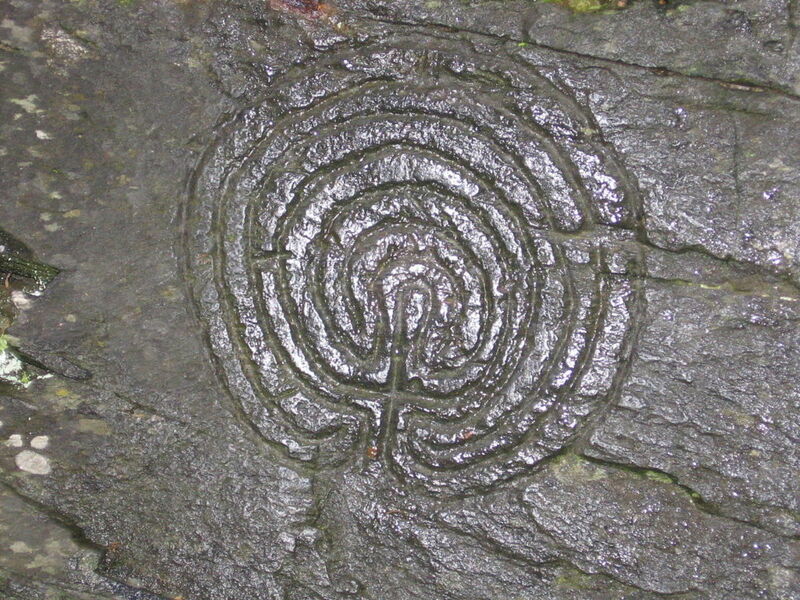 In a valley near Tintagel, Cornwall, two carvings of a seven-coil labyrinth can be found cut into the rock face near the site of a derelict mill. Theories abound as to the age and origins of these petroglyphs. Whilst some describe them as dating back to the Bronze Age, others point out that they can be no older than 300 years old. The design is one of the most common labyrinth forms found globally, and due to the location of these mazes, they have become somewhat of a New Age shrine. 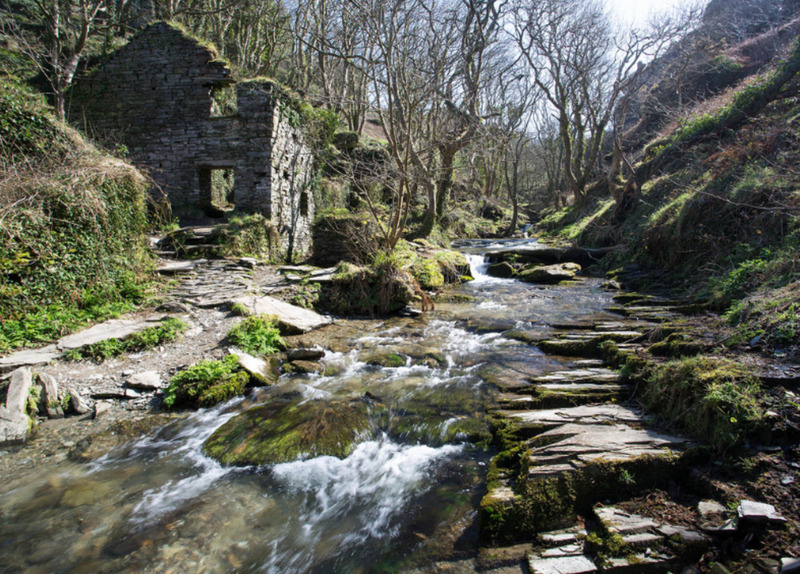 Pilgrims to the area seeking King Arthur, and a bit of Cornwall's magic, find the site particularly spiritual, no matter the age of the labyrinths. 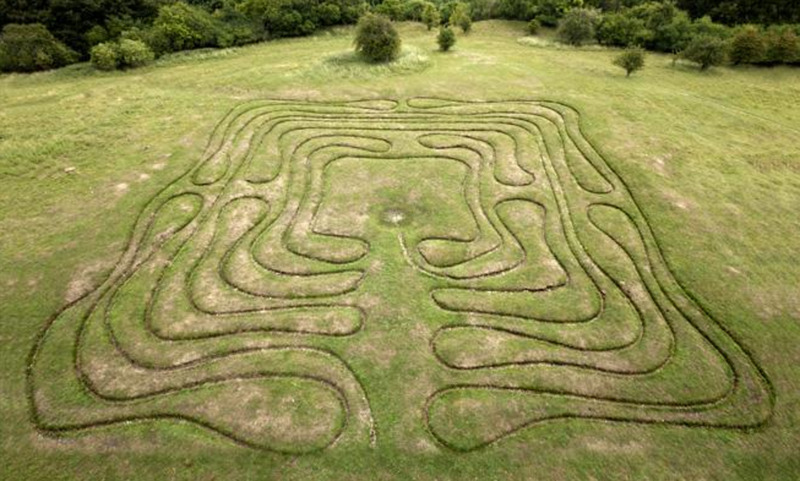 The Saffron Walden labyrinth is the largest ancient maze in the British Isles, featuring no less than 17 circuits. Situated on the village green, it is surrounded by a ditch and mound and leads the explorer along a path that is one mile long! An ash tree once stood on the central mound, but is no longer there. 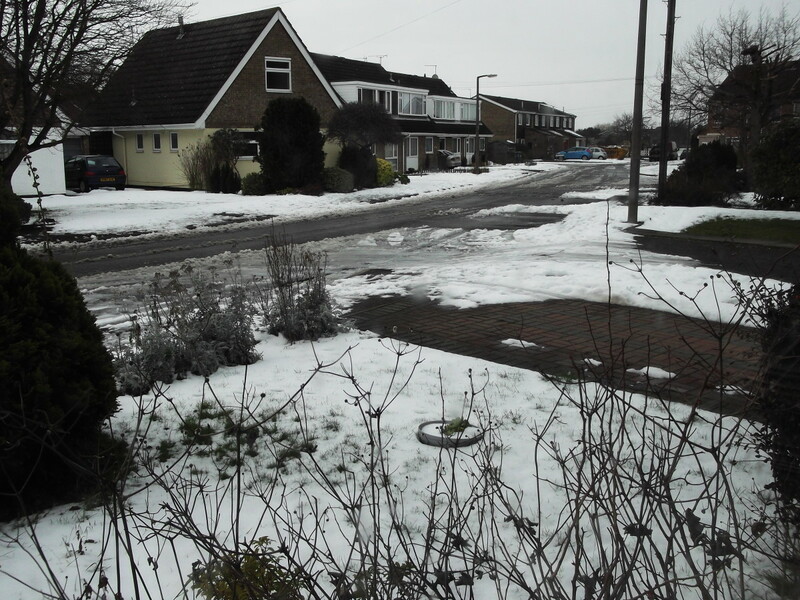 As with the Miz-Maze on St Catherine's Hill, Saffron Walden is cut into the ground, rather than being formed by raised turf. Over the years, the path of this particular labyrinth has been marked out in red brick. 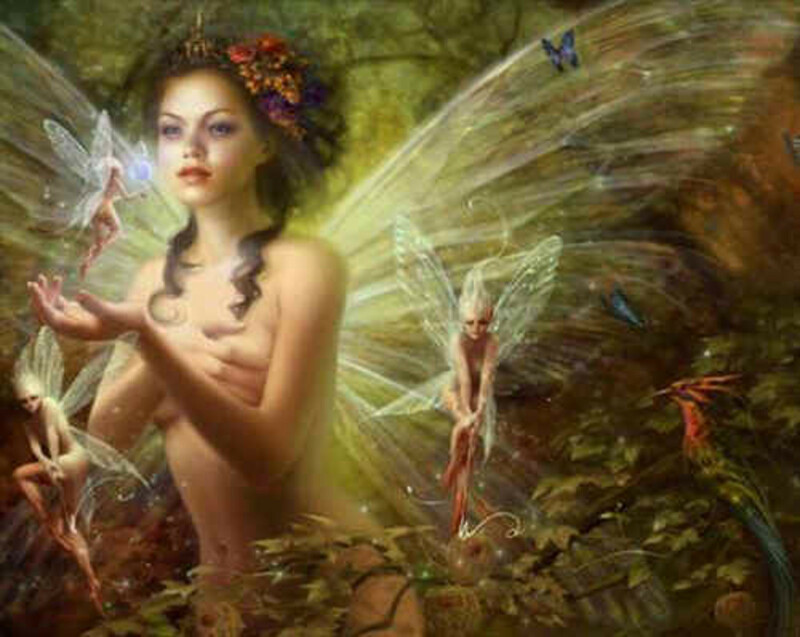 Folk custom tells that a maiden would stand in the labyrinth's centre, whilst a would-be suitor would run the whole design without putting a foot wrong. Should he achieve this feat, he would be permitted to dance with her. 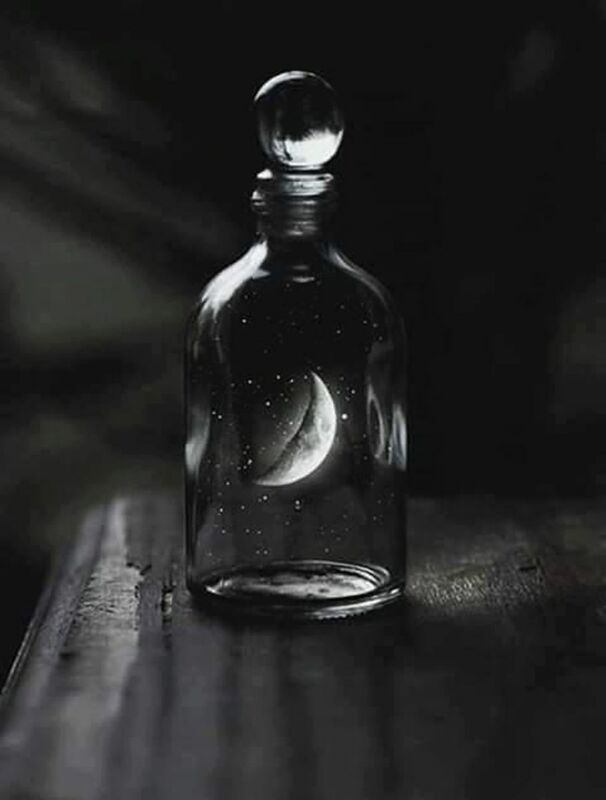 A variation on this lore states that the suitor upon finding the fair maid, would then have to carry her all the way out of the labyrinth should he wish to keep her! The earliest mention of this maze dates from 1699, although it may be far older, with the site being occupied continuously since Neolithic times. Legend tells that whilst this labyrinth may be impressively large, there was once an even bigger one to the east. The Saffron Walden turf maze. 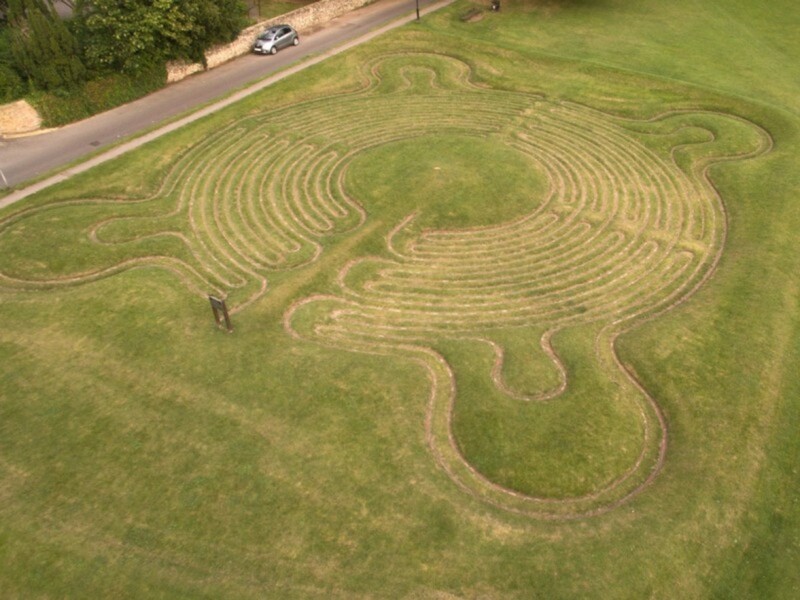 The labyrinth is located on the Village Green, in Saffron Walden, Essex. 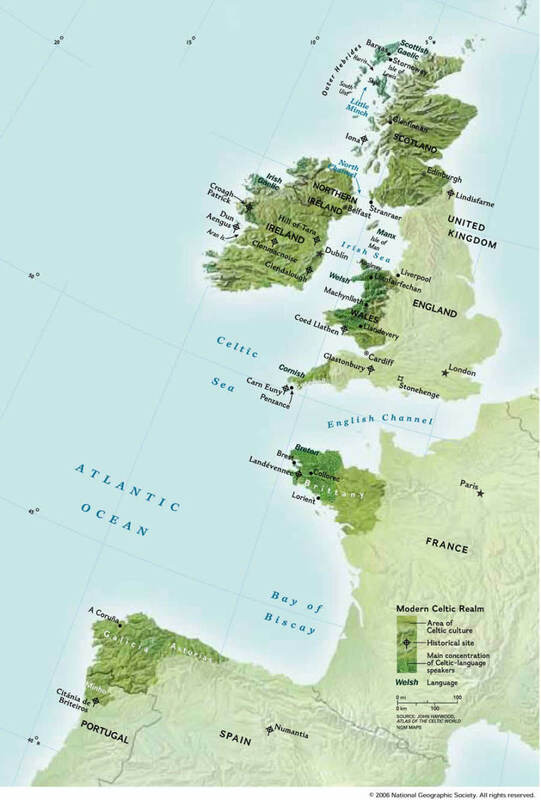 Extinct Animals Within the British Isles. 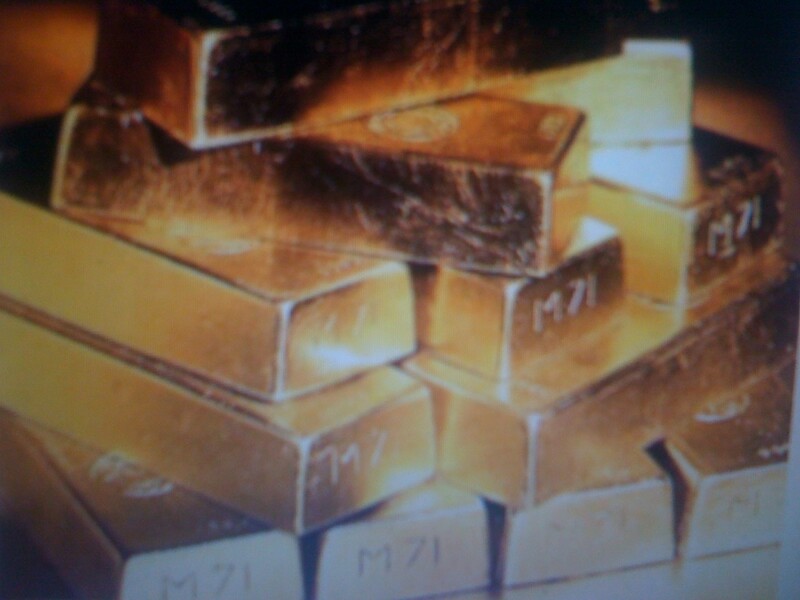 Ancient Roman Goldmines in Great Britain. Thanks for commenting Heidi! Yes, there's something special about them, isn't there? It's a pleasure to share - it was just difficult to pick the ones to make the cut for this article! I have a few friends who love walking these paths for meditation. They'd go crazy to check these out! :) Thanks for sharing the info.